Chuck Norris: There’s A Government Cover-Up Of Epic Proportions. Last week, I addressed how CIA Director John Brennan gave a historic speech to the Council on Foreign Relations, confessing something few thought they would ever hear: the federal government’s explicit and intentional climate intervention via operations like stratospheric aerosol spraying or injections, or SAI. What I didn’t explain is that SAI is a ginormous federal geo-engineering cover-up that is now being exposed, and yet not a single mainstream media outlet has reported on it. Let me explain. Loss of blue sky: According to a report by the New Scientist, Ben Kravitz of the Carnegie Institution for Science explained, “Releasing sulphate aerosols high in the atmosphere should in theory reduce global temperatures by reflecting a small percentage of the incoming sunlight away from the Earth. However, the extra particles would also scatter more of the remaining light into the atmosphere. This would reduce by 20 percent the amount of sunlight that takes a direct route to the ground, and it would increase levels of softer, diffuse scattered light,” making the sky appear hazier. Hazards to human health and other earth life: The gravest of all consequences of atmospheric aerosol spraying is that, simply put, what’s sprayed above us settles down upon us and in us, as well as other life on earth. Another colleague and co-author, Dr. Raymond T. Pierrehumbert, the Louis Block professor in geophysical sciences at the University of Chicago, and Sweden’s King Carl XVI Gustafn, chairman in environmental science at Stockholm’s University, took it one step further. He warned, “The nearly two years’ worth of reading and animated discussions that went into this study have convinced me more than ever that the idea of ‘fixing’ the climate by hacking the Earth’s reflection of sunlight is wildly, utterly, howlingly barking mad” (that is why Dr. Pierrehumbert prefers to call albedo modification by the name “albedo hacking”). So, why are the U.S. Senate and CIA director disregarding the dire and passionate warnings of scientists like Dr. Pierrehumbert and Dr. Fleming by demanding that the Department of Energy proceed with trials on geo-engineering? In the words of Dr. Pierrehumber, are they “wildly, utterly, howlingly barking mad”? Answer: Yes! Is it a mere coincidence that the very government agencies that are spraying our stratosphere with toxic chemicals were the actual sponsors of the NAS report? The NAS itself confessed: “The study was sponsored by the National Academy of Sciences, U.S. intelligence community, National Aeronautics and Space Administration, National Oceanic and Atmospheric Administration, and U.S. Department of Energy” (italics mine). The most colossal and tragic of all government cover-ups is the fact that the feds have been waging climate warfare for more than 30 years, lacing our clouds and stratosphere with dangerous nano-particles, including environmental sulfates, black carbon, metallic aluminum and aluminum oxide aerosols. The truth is, for decades, the feds have been covertly and overtly running sky criminal operations behind (above!) our backs, leaving humans and the rest of the planet life as lab rats of their toxic cocktail fallout. Why hasn’t a single mainstream media outlet reported on the CIA and DOE’s march forward with SAI when the scientific community has explicitly and repeatedly warned against it? 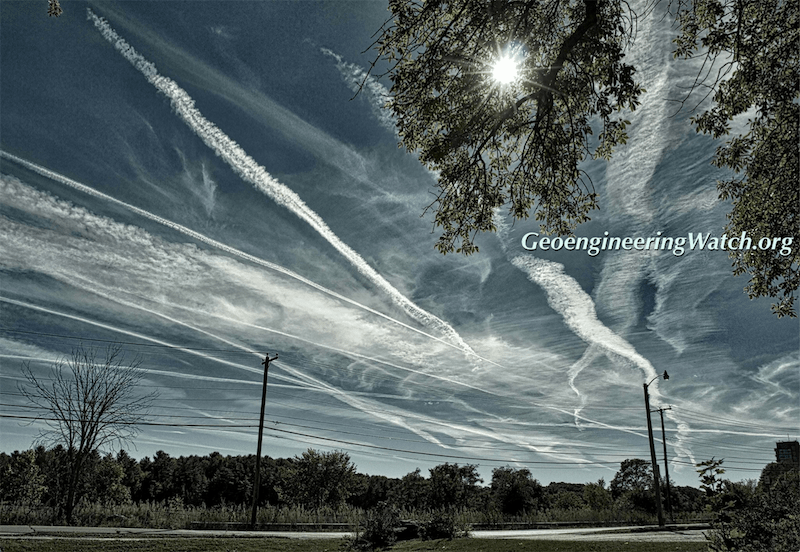 Why are geo-engineering researchers being stonewalled by government and media? And why in hell are watchdogs on both the left and right dodging the feds’ intentional and hazardous climate intervention, when they seek to uncover government cover-ups and conspiracies with the most scant of evidence? Is it a mere coincidence that, in October 2015, the feds put a universal “gag order” on agency employees in “The National Weather Service,” the National Oceanic and Atmospheric Administration” and the “U.S. Dept. of Commerce”? Is it a mere coincidence that the Obama administration has spent more taxpayer monies for legal prosecutions of government whistleblowers than all other U.S. presidents combined, resulting in 31 times the jail sentences? It’s time to blow the lid off the government’s climate cover-up! That is why my wife, Gena, and I encourage citizens everywhere to do their own research on geo-engineering and then write their government representatives to demand action. We also encourage the support of the Legal Alliance of lawyers now amassed as a united front to fight the geo-engineering government cover-up in court. To read or learn more immediately, I highly recommend the work and website of Dane Wigington. 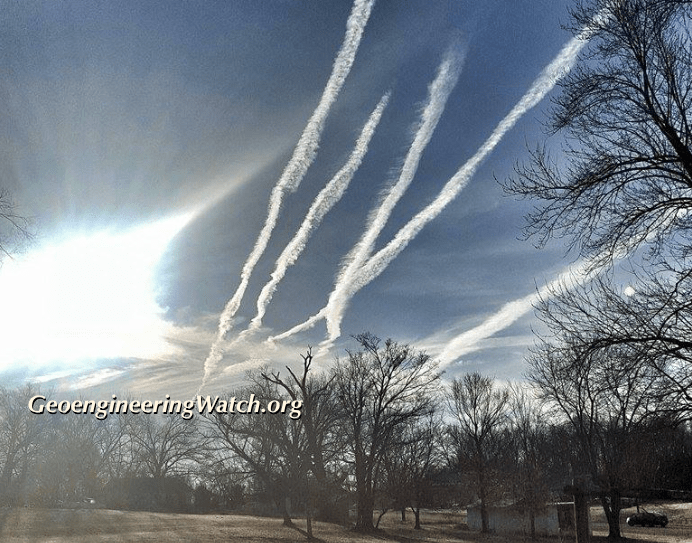 GeoEngineeringWatch.org is loaded with great research on the many facets of climate intervention.